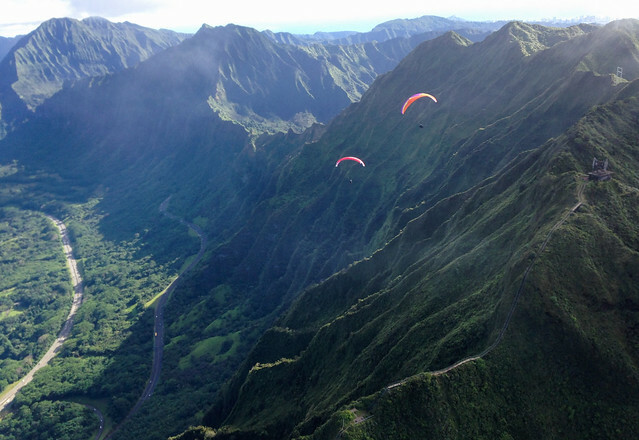 I had the privilege of making a presentation about Oahu paragliding to the Hawaii Trail and Mountain Club the other day. I chose my best 180 photos taken over the past 5-6 years on some great flying days at a dozen flying sites around the island. And I chose my best 6 videos, though we only had time to show half of them. I was super nervous about speaking in front of a group, with a microphone, but this great group of hikers made me feel at ease right away. Plus I had about a dozen pilots attend as my guests for moral support! Thanks to everyone who made it out.